This "Overview of the Ethiopian Media Landscape 2018" has been produced for the website of Media Progress. It is structured along UNESCO's Media Development Indicators. Each section describes and analyses a specific indicator. The "State of Media Freedom in Rwanda" was prepared by Media Progress for the Rwanda Media Commission and funded by UN and UNDP. The Study from 2015 is structured on the UNESCO Media Development Indicators. 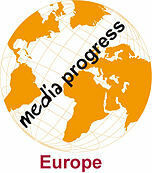 "Elections of Board and the GD of the public broadcasters in Western Balkans. Elections to the Regulatory Bodies in Western Balkans, 2016". Chart of requirements and procedures for elections and appointments in Albania, BiH, FYROM, Kosovo, Montenegro, and Serbia. "Streamlining of Media as a CFSP Instrument", pp. 195-200, From Early Warning to Early Action?, European Commission, External Relations, Brussels, 2008. The European Union's Common Foreign and Security Policy provides the European Commission with all necessary instruments to deal with civilian prevention of conflicts and support to peace building. Media is an important tool to achieve democracy, build peace and prevent conflicts, and should be integrated in EU rapid response and medium term support interventions. "Media in Conflict Prevention and Peacebuilding Strategies" - by Shira Loewenberg, Bent Nørby Bonde, (eds.) 2007. Introduction to media in conflict prevention and peacebuilding, Toolbox for Media in Peacebuilding and Conflict Prevention, Toolbox Case Studies, Rapid Impact and Popular Involvement. Preface and forewords by the Special Representative of EU, Javier Solana, and DG RELEX commissioner Benita Ferrero Waldner. "Notes on Media and the Nigerian conflicts"
State or private media in Nigeria, Afghanistan, and Yugoslavia voluntarily or under pressure increased moral panic by suppressing the ‘others'. In these countries media legislation severely restricted the freedom of expression as the conflict escalated. "Note on Mass Media and Journalism on the Edge in Violent Conflicts – Rwanda, U.S.A and Kosovo"
The March 2004 violence in Kosovo, the verdicts in April 2004 against media leaders in Rwanda, and the coverage of the war in Iraq by American mainstream media illustrate the dilemma of focusing on editorial independence or on media's social responsibility. The article calls for an emphasis on the normative choices inherent in media independence and social responsibility with regard to violent conflicts, and suggests that journalism should be based on diversity and impartiality. "UN-led Strategies for Media and Communications in Conflict Prevention and Peace Building" DIIS Brief, July 2006, 9 p.
The brief suggests the establishment of a rapid deployment facility bridging crisis-, mid- and long-term media and communication strategies. Based on conflict resolution, communication and social psychology theories, the dissertation argues for that media and communication should be integrated in peace-building and conflict transformation processes. Case studies of media-escalated conflicts and moral panic in Yugoslavia and Rwanda, phases of intervention and choice of appropriate media intervention tools, models for media content design, rapid reactions with long term perspectives. Analysis of why Danish domestic anti-Muslim rhetoric made Imams from the Danish Muslim communities choose a policy of conflict escalation and how the government contributed to conflict escalation by framing the conflict as a challenge to freedom of expression. The article suggests lessons learnt in order to prevent similar crises elsewhere in Europe. "Carthage was indeed destroyed: ­ An introduction to the excavations of the Punic capital Cartago"
Overview of the history of excavations in Carthage, Tunisia emphasising the connection between political considerations and archaeological methodological priorities. A useful introduction to archaeological studies of the Punic empire. Postgraduate paper in Classical Mediterranean Studies. Analysis of the advantages and disadvantages of digital communication in media interventions in conflict zones. Discussion of "best practice" in minimizing conflict generating communication and maximize impact of media interventions in conflict zones. Formative assessment report on the media in Afghanistan examining the concepts of "security" and "transition" from an Afghan point of view and recommendations on specific media interventions addressing security vulnerabilities identified by Afghans. The assessment combines elements of traditional media assessment with conflict analysis and identifies key opportunities and challenges for using media more extensively and effectively for peacebuilding. n reaction to postponed EU accession previously multicultural Macedonia has changed its focus from a common European future to a mythical, divisive reinvention of national identity. The country's current emphasis on pre-Slavic identity and history essentially excludes large population groups from the narrative and is regarded with increasing animosity by its neighbours. Analysis of the pre-conflict divisions in 2001 in Macedonian, framed by politicians and media figures as an interethnic conflict. Presentation of official conflict management attempts and multi-track diplomacy actors addressing the conflict which is rooted in the current dissonance between civic and ethnic identity. In Macedonia key elements to conflict prevention have been domestic political will, international presence, NGOs, breaking down media ghettos, education for respect, and environmental activism. These measures have prevented ethnic differences from turning deadly in multi-ethnic Macedonia despite the fact that population groups remain within their separate entho-linguistic communities. Co-author of the "Sarajevo Commitment", final document adopted by the World Media Assembly, 2000. The Sarajevo Commitment committed each participant personally to dedicate him/herself to serving the public. Particular attention was given to the situation in the new democracies. Short guide for training of radio professionals in targeting their programmes at defined audiences in general and in conflict settings. Hands-on guidebook intended for radio broadcasters producing or presenting radio talkshows in countries of conflict. Chapters on how to transform conflict, preparation and planning of talkshows, talkshow formats and content. Manual intended for facilitators of trainings in writing radio ‘soap operas' for conflict transformation. The course objective is for the participants to understand the principles of good edutainment-and to develop skills in writing serial radio drama that encourage behavior change. The material contains a Project Manager's Manual discussing practicalities (preparation, budgets, contracts and production) and a practical manual designed for the trainer and the scriptwriters of the soap for conflict prevention/resolution. The manual is intended for those with little or no experience of radio soap opera. Analysis of key challenges to print media, Press Council, print media circulation, audio-visual media, public service broadcaster, independent media commission, legislation, defamation law, Law on Access to Official Documents, journalism education and mid-career training. Co-author of white books and annual books on media in SEE. Blog entries on specific types of evaluations, evaluation methodology, evaluation reporting, evaluation tools, media analysis and monitoring etc. Evaluation of international and non-governmental organizations' communication activities: A 15year systematic review. PR Review, 39, 5. The review found that the evaluations complied with evaluation methodology design princ iples but were not integrated, adopted widely or used vigorously by these organisations. Blogs, mash-ups and wikis - new tools for evaluating event objectives: A case study on the LIFT06 conference in Geneva" PRism, 4 (2), 2006. Blog entries on social media, citizen journalism, online communities, and instant messaging, e-petitions etc.